Do ya get it!? 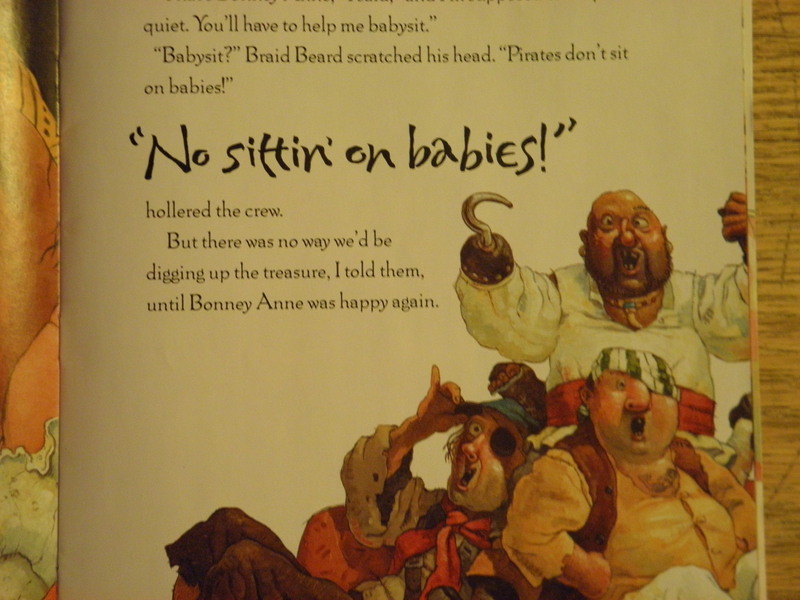 This is from the delightful Pirates Don’t Change Diapers by Melinda Long (we also love How I Became a Pirate). This book is hard for me to read on a good day because I have to make a lot of pirate voices and do a lot of screaming. So it’s worse when I’m getting over a 3-week-long case of bronchitis and chronic sore throat. But I do it anyway because, well, these are the sacrifices I make for the children. Also they’ll sit still for five minutes while I do it. This entry was posted in Child Care and tagged circle time, sittin on babies by Amy Pybus. Bookmark the permalink.